Acting as the official archive for England, Wales and the central UK government, this database covers 900 years of history, with records ranging from paper scrolls through to recently created digital files and archived websites. An on-going, massive digitalization process is making such records accessible online (partly for free, partly viewable and downloadable only by a fee). Along with a dozen repositories, plenty of catalogue records, and resources devoted to research and professional sectors, also available are current news, online exhibition, maps, job opportunities, and specific references on sections not available in digital formats, such family and military history. Also useful some special areas with resources devoted to kids, parents, teachers, as well as a series of online services (purchasing records and books). 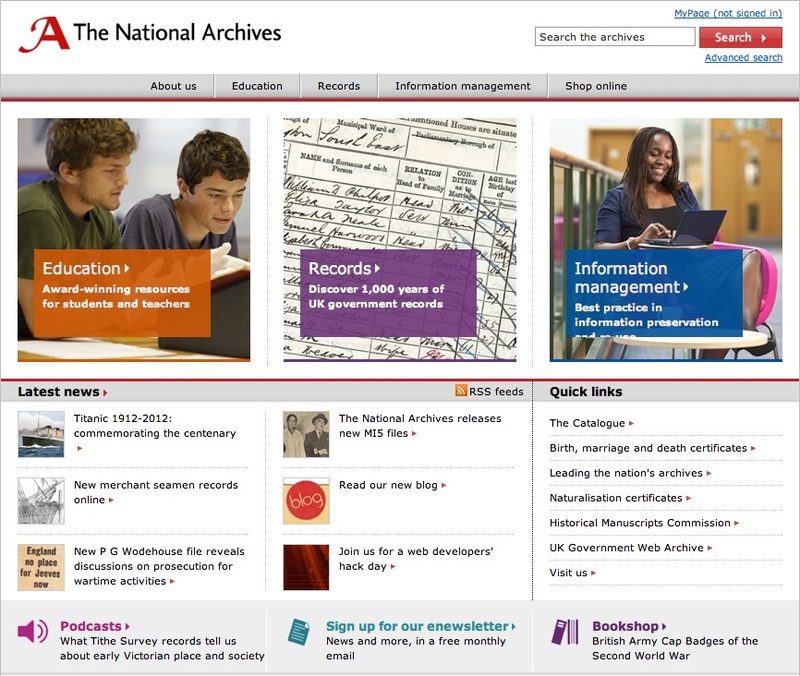 Another website feature covers the information management and archival resources, providing also standards and tools to better any kind of data and also encouraging the re-use of public sector information. With its quite dynamic overall design this website also includes a powerful advanced search facility, an A-Z index and useful visual tips. Users can personalize their own pages and search results, while Web 2.0 tools are easily available.